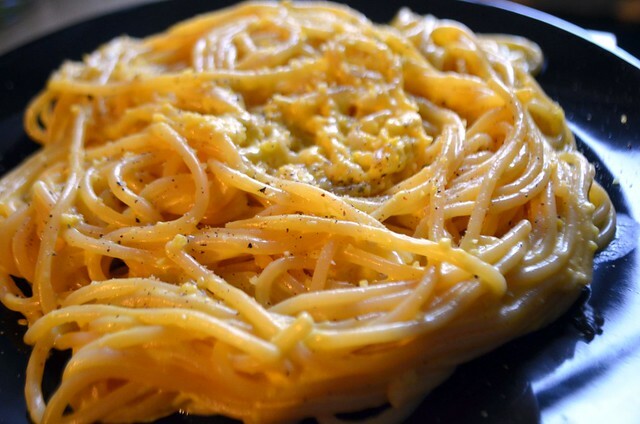 Yes, another fake carbonara recipe… This one has just the egg yolk in common with the original, but definitely has the same delicious texture. Thanks to the cream, it is richer than the other fake carbonara. It is also super quick! 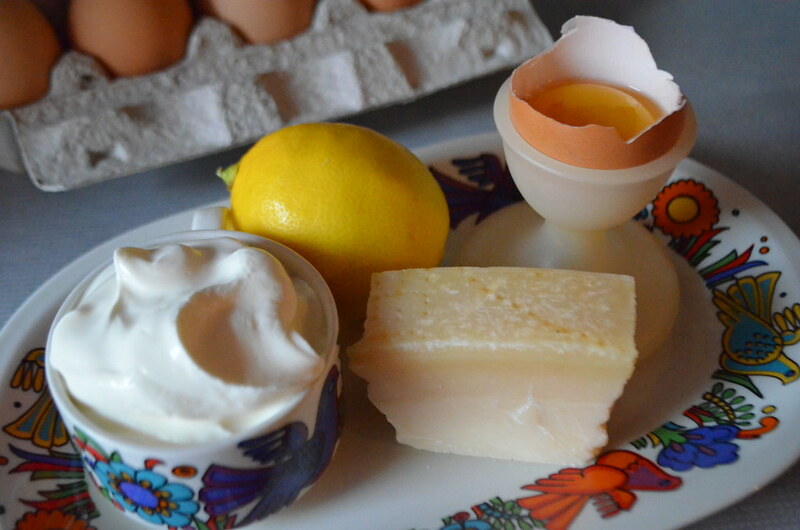 What I like best about Croatian approach to cooking and eating is the importance of homemade. In Croatia, in top of cooking with their own olive oil, drinking their own vine and salting their own sardines, most of your friends and neighbors know a guy who makes his own honey or sheep cheese, or cures his own sausages… I find it great that, today, so many people are still attached to those traditions and the excellent product quality that goes with them. This week our Dalmatian connection got us a domaći lemon straight from her family’s garden in Trpanj. Those lemons are not sprayed with insecticide, so, contrary to the sad lemons you’ll find in the supermarket, their skin can be eaten. I didn’t have enough lemons to bake my mom’s Famous Meringue Lemon Pie, the dish I immediately associate with lemons, so I decided to go for a recipe I first tried at my friend’s Nicole place, the lemon carbonara (Nicole claims she saw it on Nigella Lawson’s show, but I’m not friends with Nigella, so Nicole is the inspiration here). Put the water to boil for the pasta and cook it according to the instructions on the package. 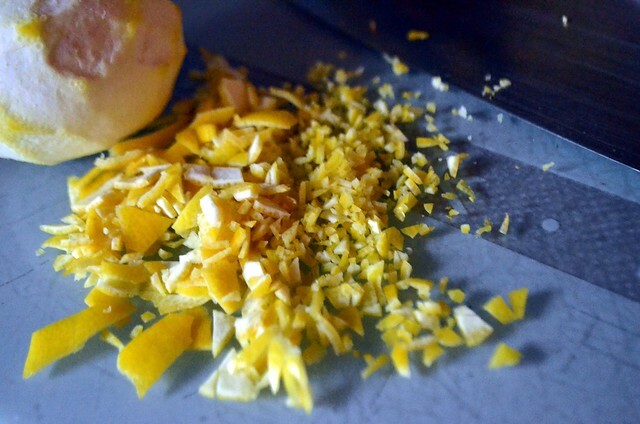 While the pasta is cooking, peel the lemon zest with a peeler and chop it very finely. I prefer to do it this way rather than grating it because the thicker pieces of zest add a crunch to the creamy sauce. Also, I really hate washing the grater. 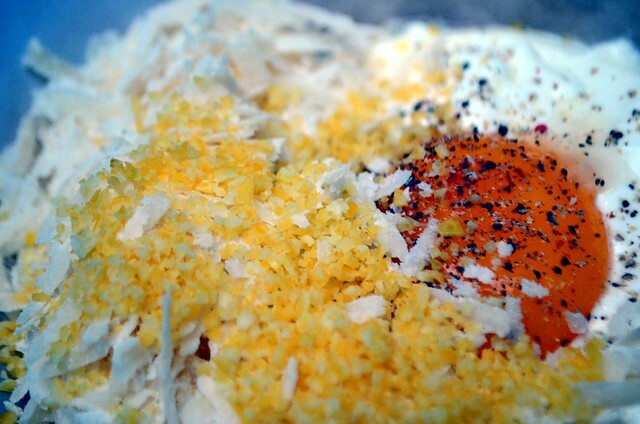 In a bowl, mix the grated cheese, the mileram or cream, the egg yolks and the lemon zest, and stir until all the ingredients are well combined. Add pepper to taste. When the pasta is cooked, drain it and return it to the pan. You can drizzle it with of olive oil then. On high heat, add the lemon sauce, give it a good stir so that the pasta is well coated, then take off the heat. Stir well one more time and serve immediately. Love this for an unusual idea. I’ll try it when my lemons are ready early next year. Definitely organic ones !